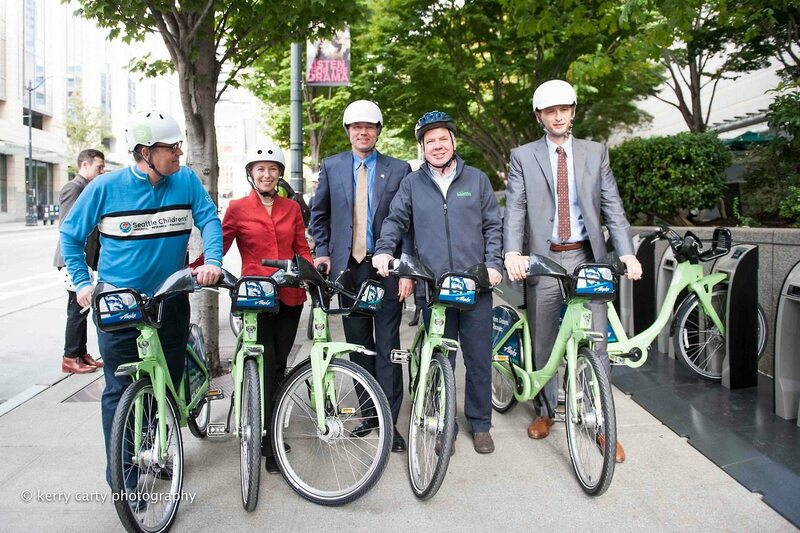 News + Events > Alta celebrates the launch of Pronto Cycle Share in Seattle! Pronto Cycle Share, Seattle’s first-ever bike share system, is officially open to the public today, bringing 500 bikes and 50 stations to neighborhoods across the city. The system launched following this morning’s inaugural ride and press conference hosted by Pronto, Seattle Mayor Ed Murray, sponsors and other key supporters. Alta Planning + Design is proud to have supported this project with our work on the King County Bicycle Share Business Plan, and station planning and permitting.